Unless you’ve been living under a proverbial rock, you’ve no doubt heard of the many benefits of omega-3s. You’ve also probably heard of omega-6s and how it’s important to have the right omega-3-to-6 ratio (FYI: You need more 3s than 6s). Heck, you may have even heard of omega-9 fatty acids. But have you heard about omega-7? If not, keep reading to find learn some of the amazing benefits of this nutrient and why you should start taking it. Inflammation is your immune system’s response to pathogens or injury. In many situations – bee bite or cut finger for example – inflammation helps your body heal. Chronic inflammation, on the other hand, caused by poor diet and toxins, is very bad for your health and has been shown to be the root of all disease. Omega-7, like its cousin omega-3, has been shown to maintain healthy levels of c-reactive proteins, or, in other words, has been shown to keep inflammation under control. As we age, the lining of our blood vessels ruptures easily. LDL cholesterol (AKA the “bad” cholesterol) is supposed to seek out these ruptures and repair them. That’s a good thing. But when you have inflammation in your body, the lining of your vessel walls becomes… textured for lack of a better word. And this LDL gets caught up or snagged on the roughness and forms waxy deposits, which we call arterial plaque. This plaque then inhibits proper blood flow to and from the heart and you wind up with heart disease and hypertension. I already mentioned that omega-7 helps fight inflammation in the body. But studies have also shown that omega-7 can help you lower total cholesterol, LDL cholesterol and triglycerides. Having less inflammation and less LDL in your blood are two powerful ways to cut your risk of developing blocked arteries and heart disease. The interesting thing is, these studies were done on rats that were fed omega-7 from whole milk cheeses and butter. Not the results you’d expect from that kind of diet! That’s because we’ve all been fed (pun intended) lies about animal fats. Animal fats, especially from grass-fed animals, are incredibly healthy for us, as this study proves. When your body is working properly, it is naturally sensitive to insulin, the hormone that regulates your blood’s glucose levels. Eating a Standard American Diet, or a SAD diet laden with carbohydrates, creates a situation in your body where your cells become resistant to insulin. Once you develop this resistance you are at risk of developing full-blown type 2 diabetes, which, in turn, can cause cardiovascular disease and renal failure. Omega-7 helps your body keep the right sensitivity to insulin so you metabolize glucose efficiently. If you seem to be hungry all the time, there’s a very good chance that your body is not using leptin, the hormone that controls satiety, correctly. Omega-7 has been shown to help your body use leptin more efficiently, thereby keeping those unwanted hunger pangs at bay. Wouldn’t it be great if there was a magical pill that would take the calories you eat and turn them into energy instead of storing them as fat? 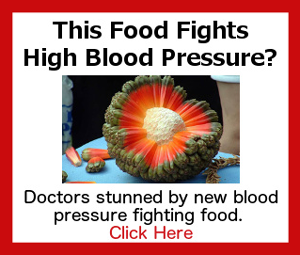 Well, omega-7 has been shown to do just that. This means that omega-7 actually revs up your metabolism to help you burn calories before your body can store them as unwanted fat! Unfortunately, omega-7 fatty acids are found in very fatty foods. While that’s not necessarily a bad thing, it can be for some people. Fatty meats, whole milk cheese and butter and macadamia nuts can actually be healthy for us, despite what you have been taught (AKA brainwashed) to believe. But high-fat foods come with more calories, and though omega-7 can help you burn more of those calories, it is still up to you to eat fatty foods in moderation. If you don’t, you will pack on the pounds and put yourself at risk for developing diabetes, heart disease and hypertension, the very things that omega-7 is trying to limit your risk of developing. Your best bet is to find a quality supplement that offers omega-7. But not all omega-7 supplements are created equal. Some may also contain dangerous ingredients that will do your health more harm than good. Did you know the FDA does not regulate dietary supplements? That’s why it’s so easy for manufacturers to use dangerous fillers. One study actually found that a shocking 25% of dietary supplements contain more than one unapproved pharmaceutical ingredient. At Primal Labs, we believe in creating supplements that support health, not compromise it. Our supplements are potent and pure, so you never have to worry about potentially harmful ingredients. 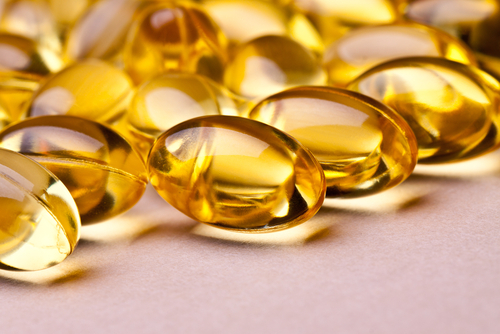 If you are looking for an omega-7 supplement, we have some great news. Our DuOmega 3&7 contains omega-7 PLUS omega-3. That’s like a 1-2 punch to inflammation and heart disease. Too many people think that omega-3 is enough to fight heart disease, but as we’ve discussed, omega-7 is the missing piece of the heart health puzzle. If you want to reap the benefits of some of the most powerful fatty acids, pick up a bottle of DuOmega 3&7 today.